TME’s offer has been extended to include connectors for LED strips. 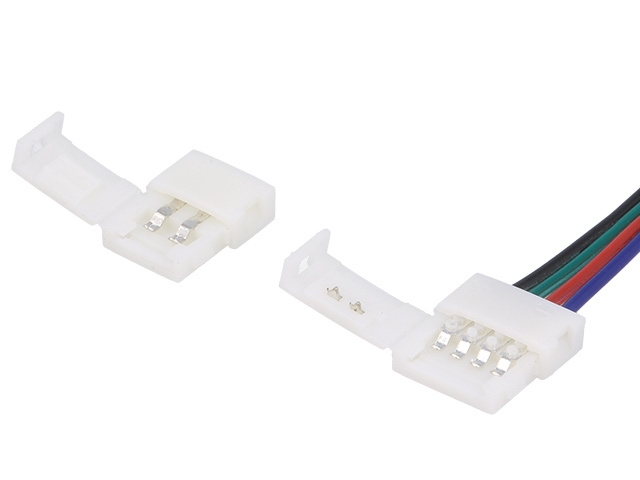 They are suitable for 8mm and 10mm LED strips, both for one-colour (2 pins) and RGB versions (4 pins). These connectors allow for connecting two LED strips with the use of one cable. It is also possible to connect a strip with a cable and then connect this strip with other elements of the system.